Providing you the best range of circular connector with effective & timely delivery. 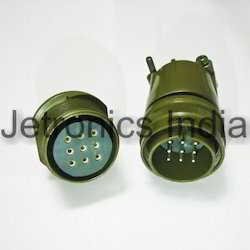 Circular Connector are made in a high grade Aluminum alloy resulting into a rugged connector with minimal weight. They are available in a variety of styles and classes. They feature threaded couplings and single key/keyway polarization. Looking for Circular Connectors ?